The native wild form of this easy and very useful evergreen fern. 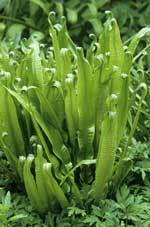 Strap shaped, long undivided fronds giving the plant it's common name Hart's (deer) Tongue fern. Grows better on alkaline to neutral soils. Happy in damp shade but also in dry shade once established. 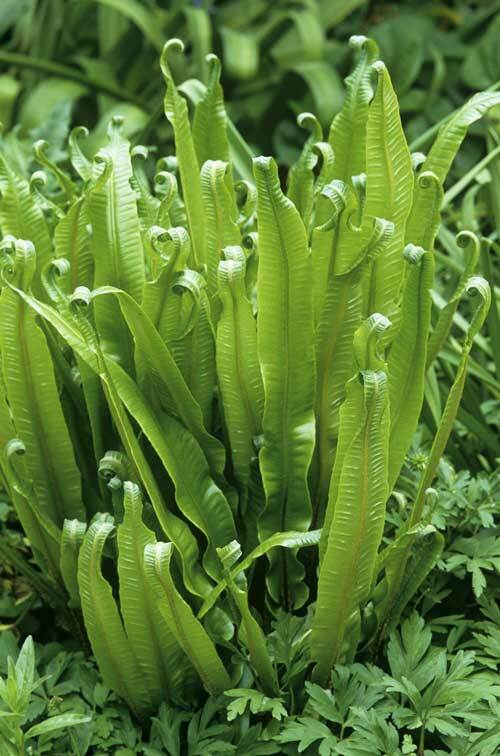 This fern works brilliantly with other ferns, hostas and bergenias.